Manchester Manchester United have another monumental task on their hands in the Champions League after Luke Shaw’s own goal gave Barcelona a 1-0 quarter-final, first leg lead at Old Trafford on Wednesday. 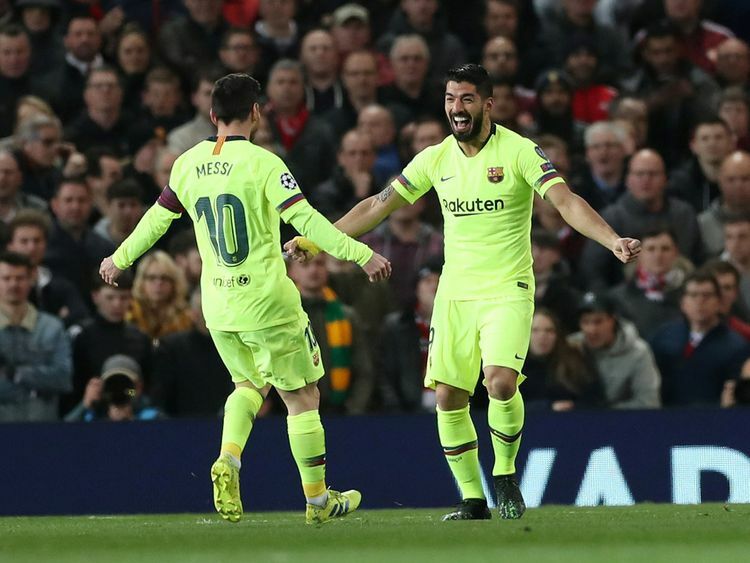 Shaw turned Luis Suarez’s header into his own net after just 12 minutes and despite being far from their best, Barca comfortably held out to edge towards a first Champions League semi-final in four years. United produced one of the European Cup’s finest ever comebacks from a 2-0 first-leg defeat at home to Paris Saint-Germain in the last 16. However, on the ground where manager Ole Gunnar Solskjaer completed another famous fightback to win the competition as a player in 1999, United must repeat the trick at the Camp Nou in six days’ time. Much has been made of Suarez’s Champions League goal drought on the road and while the Uruguayan has still not officially netted an away goal in the competition since September 2015, he had a huge hand in Barca’s winner. The early goal should have settled the Spanish champions into their stride as their dominance of possession touched close to 90 percent in the opening stages. Yet, they offered United plenty of encouragement with Sergio Busquets in particular off the pace. Marcus Rashford shrugged off an ankle injury to start and provided by a distance United’s biggest threat. A free-kick from the England international flew just wide inside the first five minutes and he sent another dipping effort from range just over Marc-Andre ter Stegen’s crossbar. Moments later United could easily have been on level terms, but the hosts’ best chance of the half fell to the wrong man as Rashford picked out Diogo Dalot only for the Portuguese to completely miscue his header across goal. Rashford, though, also failed to make proper contact with his big chance early in the second-half when Ter Stegen could only punch a cross into his path. United enjoyed the better of the opening stages in the second half, but lacked a creative spark to open Barca up with Paul Pogba too often picking the sideways pass rather than looking to thread the eye of a needle towards Rashford and the ineffective Romelu Lukaku. Barca boss Ernesto Valverde reacted by introducing midfielders Sergi Roberto and Arturo Vidal from the bench in order to restore to control. And as United chased in vain for an equaliser, the visitors began to create chances again in the final quarter. Suarez fired into the side-netting before De Gea used his feet to good effect once more to deny Jordi Alba. Anthony Martial had one final big opportunity to send United to Catalonia next week on level terms, but a heavy touch allowed the faultless Gerard Pique to intervene and condemn the Red Devils to a fourth defeat in their last six home Champions League games.